Saudi Arabia has signed an agreement with Russia’s ROSOBORONEXPORT to acquire weapon systems, which will be manufactured and sustained locally in the kingdom. The agreement forms part of Saudi Arabian Military Industries’ (SAMI’s) mandate to act as a catalyst for localising 50% of Saudi Arabia’s military procurement spending by 2030 as set out in the kingdom’s ambitious Vision 2030 plan to diversify the local economy away from oil. In a memorandum of understanding (MOU), Saudi Arabia’s Ministry of Defence agreed to procure the S-400 air defence system, the Kornet-EM system, the TOS-1A, the AGS-30 and the Kalashnikov AK-103 from state-owned ROSOBORONEXPORT. 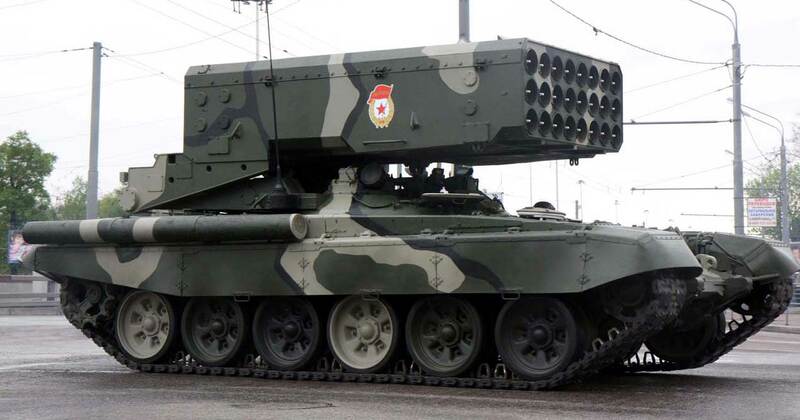 The MOU includes the transfer of technology for the local production of the Kornet-EM anti-tank guided missile (ATGM) system, the TOS-1A advanced multiple rocket launcher and AGS-30 automatic grenade launchers with grenades. In addition, the parties will co-operate to localise the manufacturing and sustainment of parts of the S-400 air defence system. The General Terms Contract covers the local production of the Kalashnikov AK-103 and its ammunition, which will contribute to raising the local content and enhancing self-sufficiency in line with the objectives set out in Vision 2030. Educational and training programmes for Saudi nationals to ensure the sustainability and development of the military industries sector in Saudi Arabia are also included in the agreements, which are expected to have tangible economic contributions and create hundreds of direct jobs. It will also transfer cutting-edge technologies that will act as a catalyst for localizing 50% of the kingdom’s military spending. SAMI, which is wholly government owned, will establish companies through joint ventures with global original equipment manufacturers (OEMs), as well as co-operating with local military companies. Currently, Saudi Arabia is the world’s second largest importer of weapons with a 7% global market share behind India (14%), according to the Stockholm International Peace Research Institute (SIPRI). The UK and the US are the principal arms suppliers to Saudi Arabia, but the establishment of SAMI is an attempt by the kingdom to reduce its dependence on foreign military sales, which have come under harsher scrutiny recently due to the kingdom’s military operations in Yemen, where weapons supplied by foreign countries have been implicated in civilian deaths and casualties.